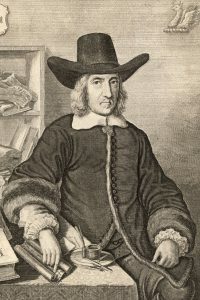 William Dugdale was an antiquarian scholar who was influential in the development of medieval history as an academic subject. 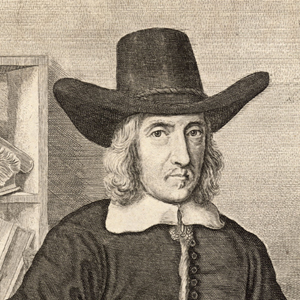 He was a supporter of King Charles I during the English Civil War (1642 – 46) and witnessed the battle of Edge Hill, the first pitched battle of the war. He was born in 1605 at Shustoke, near Coleshill, and educated at King Henry VIII school in Coventry. In 1625, he purchased the Blyth Hall estate and built a new mansion on the site. In 1656 he published Antiquities of Warwickshire, a model county history. In 1677, following the Restoration of the monarchy, he was knighted. He died at Blyth Hall in 1686. The Dugdale family is still in residence at Blyth Hall. This entry was posted in History, People on 17th October 2017 by Ian Wykes.